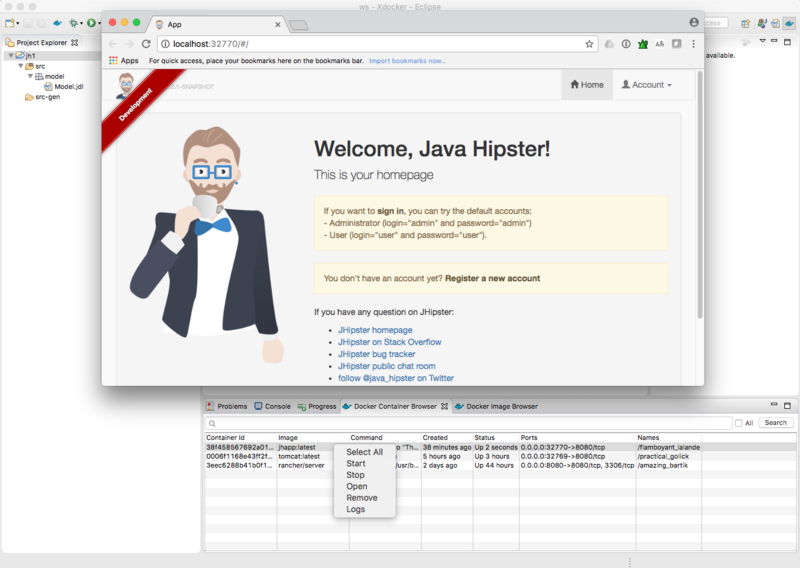 JHipster IDE provides editing support of JHipster Domain Language (JDL) files for pupular IDEs and editors such as Eclipse and Visual Studio Code. 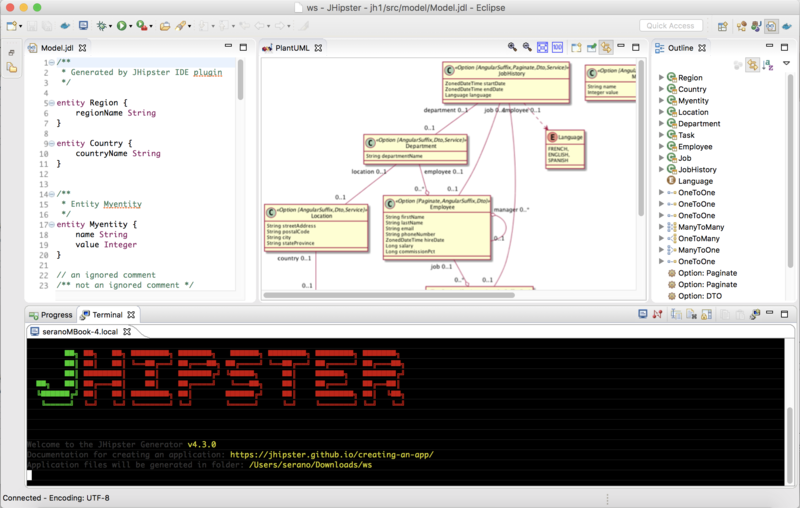 Furthermore, JHipster IDE generates automatically an UML diagram of the JDL file and provides an integration with the Eclipse terminal shell to call JHipster's Yeoman generator. Another nice feature is Xdocker which allows to edit, build and run Docker files and images generated by JHipster directly from the IDE. Version 1.7.x has now a project wizard to create different application types such like microservices, gateways or monolith. 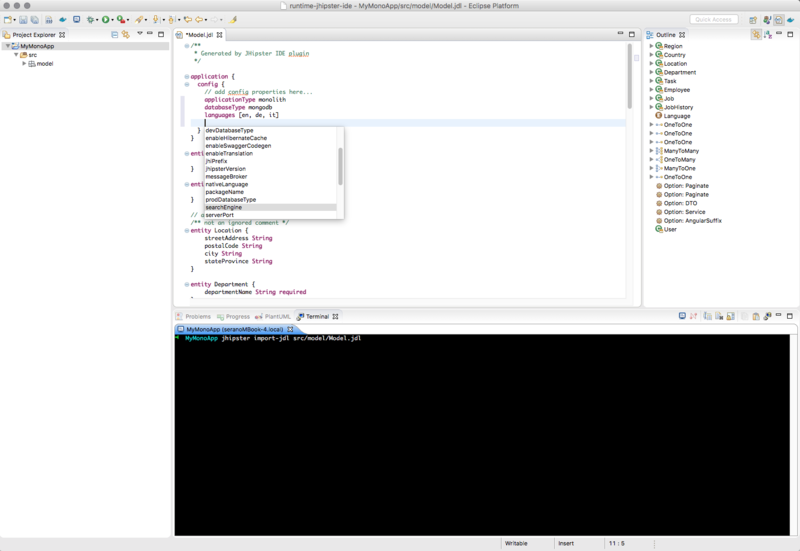 Furthermore the JDL editor was improved and alignment to the newest changes in JDL language. By adding the following code below to your website you will be able to add an install button for JHipster IDE. 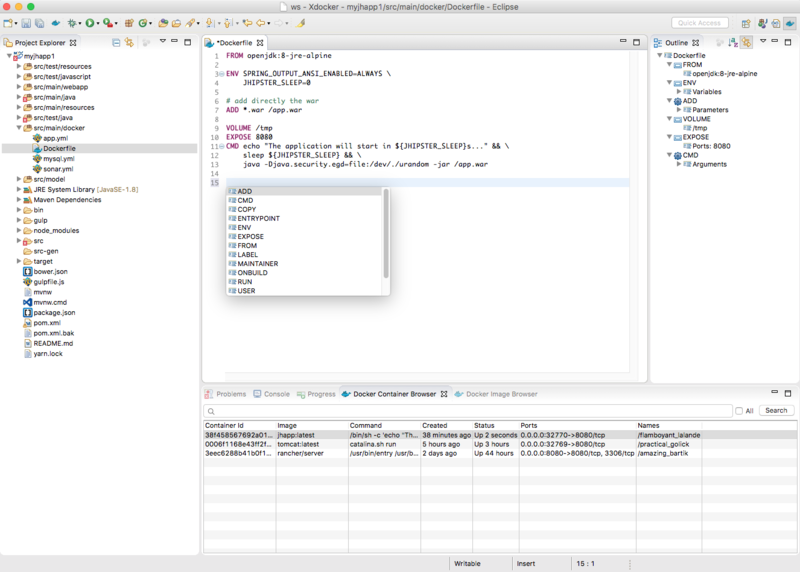 if possible with a stacktrace or error log (see in Eclipse error log view). ...sorry, not PlantUML but http://www.graphviz.org has to installed first. In the same dialog you'll see an option "Contact all update sites during install to find required software", un-check it, ignore the prompt and click on Continue.